Ideal stamp for on the move - it fits in every pocket! The convenient Mobile Printy has the smallest possible casing with the impression size of maximum 47 x 18 mm and can be operated with just one hand. The self-inking pocket stamp can fit up to 4 lines of your personalised text and is available in 8 different colours. Small and practical - this stamp is ideal for at home or on the move, especially for travelling professionals, like doctors, commercial taxis, etc. 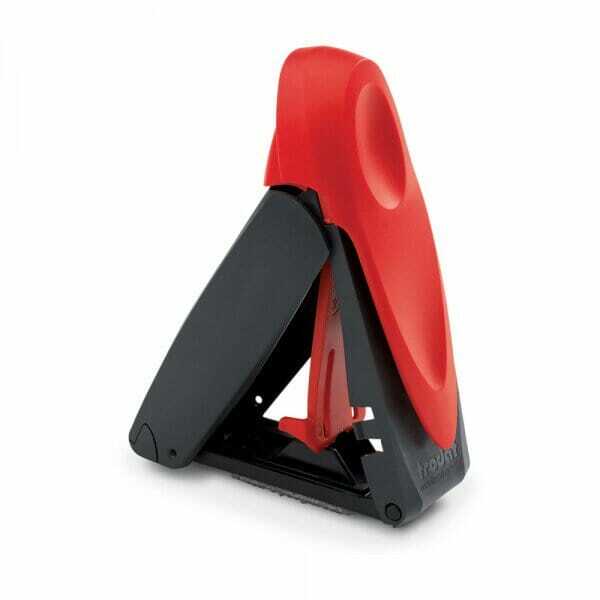 To further extend the life of your stamp, order the suitable replacement ink pad 6/9412. Pads are available in black, blue, green, red and violet. Customer evaluation for "Trodat Mobile Printy 9412 47 x 18 mm - 4 lines"